We begin the month with National Best Friends Day when we get to celebrate our dearest friendships and their contributions to our daily lives. Then comes Father's Day on the third Sunday in June! 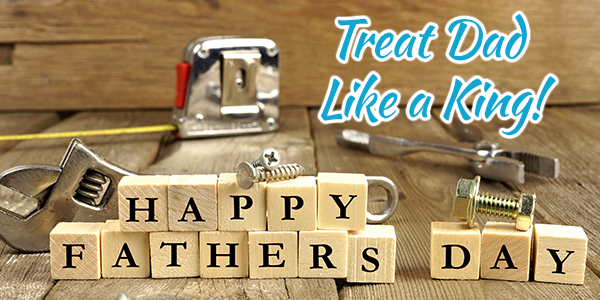 How will you show Dad how much you appreciate him? It's also THE BEGINNING OF SUMMER! Don’t forget to wear sun protection as you’re out and about. Stop by the spa for the best products to help protect your skin. Check out all the wonderful promotions we have in this month's e-zine! Le Visage Spa & Wellness! Are you in need of a SPAcation? Indulge this summer and enjoy a Spa Membership that can be used monthly! 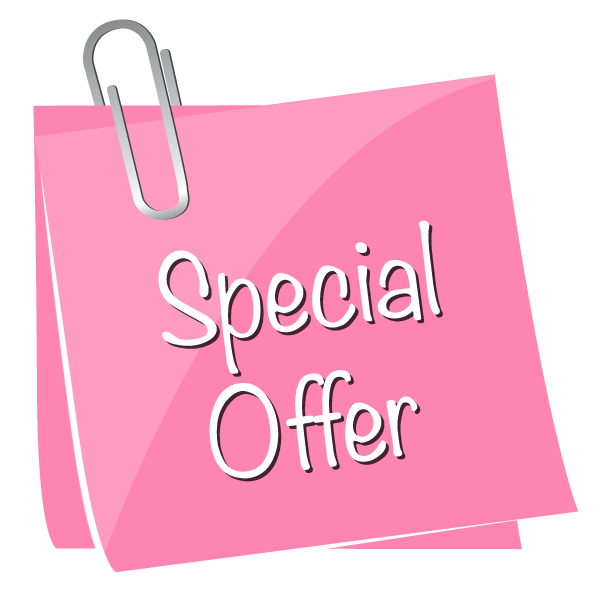 10% OFF ALL services and Products! Your BFF is that special someone you can always count on, share all your secrets with and have a great time with no matter what. Show her/him how much you enjoy their friendship by spoiling them with these luxurious spa treatments! 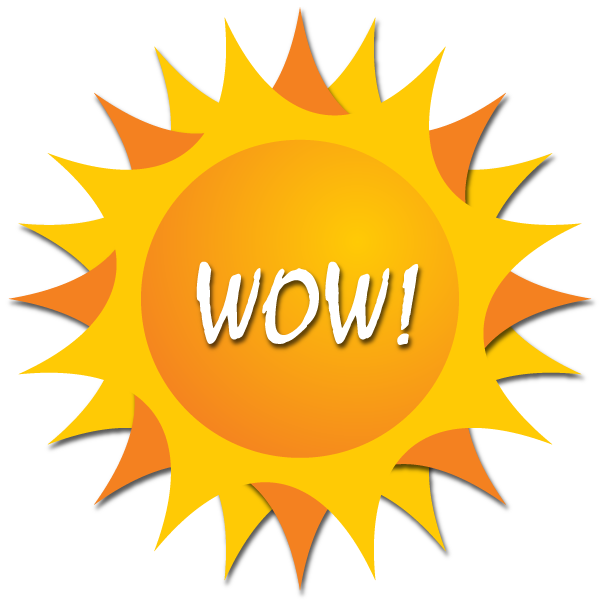 Each of you can enjoy a Get Up & Glow Facial and relax with a fantastic Swedish Massage! Remember, you can always enhance your Spa experience. Ask us how today! Don’t spend the entire summer covered up! It's time to head out to the beach, on the boat or to that pool party! Get swimsuit ready this month and look fabulous in your bikini! Reserve a Series of Three (3) Slimming Body Wraps! Don't forget about our expert waxing. Give him a de-stressing experience instead! Surprise Dad with a relaxing Father's Day Spa Package that he'll love at Le Visage Spa & Wellness! He can enjoy a soothing Neck and Back Massage to relax sore muscles and experience an invigorating Body Scrub that will revitalize him from head to toe. 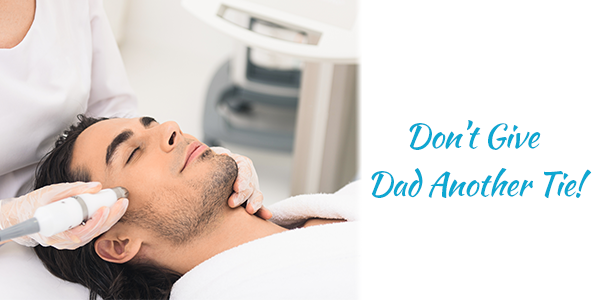 Even the toughest guy deserves a day of pampering! 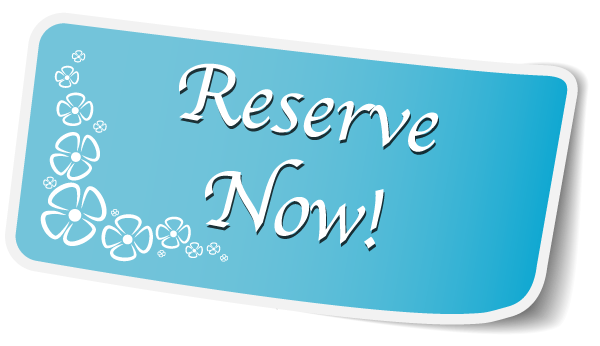 Reserve 1 Father's Day Package! The Gentlemen’s Escape is the perfect gift for Dad! He can enjoy a relaxing Massage, a revitalizing Body Scrub and a Customized Facial - all for ONLY $250! Not sure what treatment Dad will like? Give him a Le Visage Gift Card! We can help him select the perfect treatment! 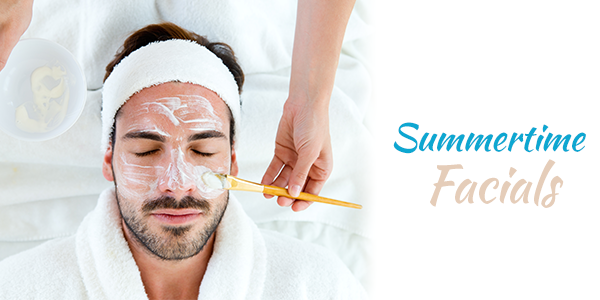 It's important for us to take care of our skin regularly so we can keep our faces healthy and looking great…especially during the summertime! This is the best time for you to reserve a ”C” Berry Facial! In a nutshell, it lightens, tightens and brightens! 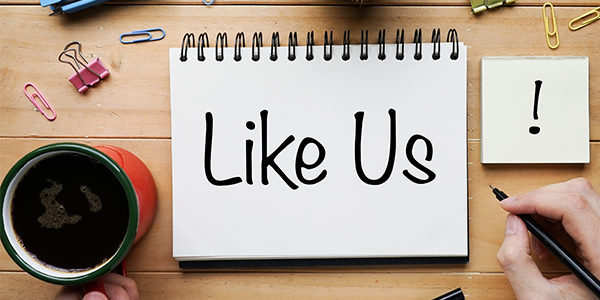 you’ll be entered to Win a FREE Focus Massage! Winner will be announced on June 21st! Father’s Day is the perfect opportunity to show your father, grandfather, husband or brother what a wonderful person you think he is! Spending time with family is sure to be at the top of his list. Check out these great gift ideas that any Dad will absolutely appreciate! Guys’ Night Out: After a day of celebrating Dad with the family, why not get all the important men in his life together for a fun night out? Plan dinner at his favorite sports grill so everyone can enjoy the game. This is sure to be an exciting night for all! A Day at the Spa: Even Dad likes to unwind and relax! 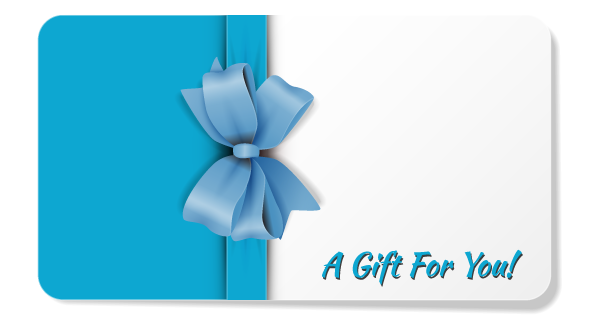 Give him the gift of relaxation by choosing a package created just for him or give him a Spa Gift Card so he can create his own experience. A De-Stress Kit: Because we all deserve some downtime to relax and de-stress, a Gift Set from Le Visage is a great gift for the dapper dad. Designed to achieve complete relaxation, the essential oils we carry also smell great! Family Time: We know Dad probably does a lot of grilling this time of year, so allow him to sit back and relax while the rest of the family cooks for him! Pick his favorite recipe and attempt to make it as delicious as he does. He will appreciate the effort as well as a fun, relaxing afternoon with family. 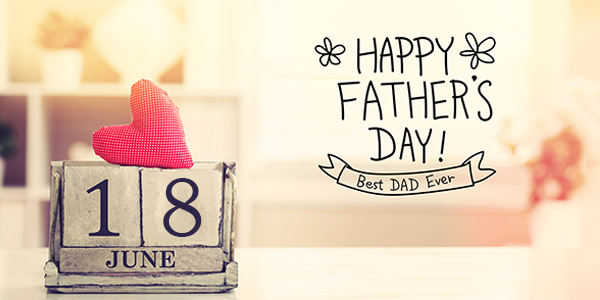 We hope your Father’s Day is spent full of love and family fun. 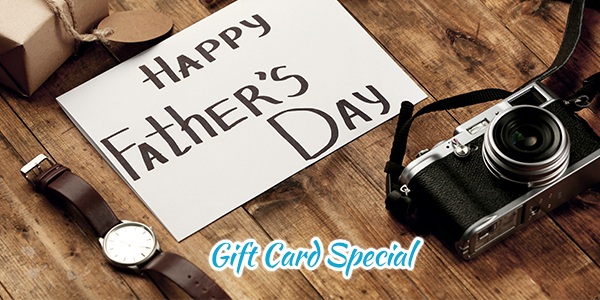 If you’re in need of gift ideas, stop by Le Visage so we can help you put together a special treat for Dad! 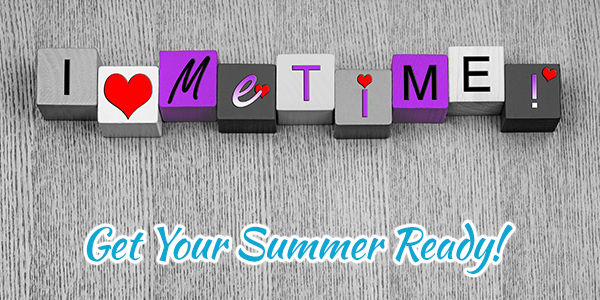 Summer is the time to enjoy warmer weather, fun outdoor activities and family cookouts! 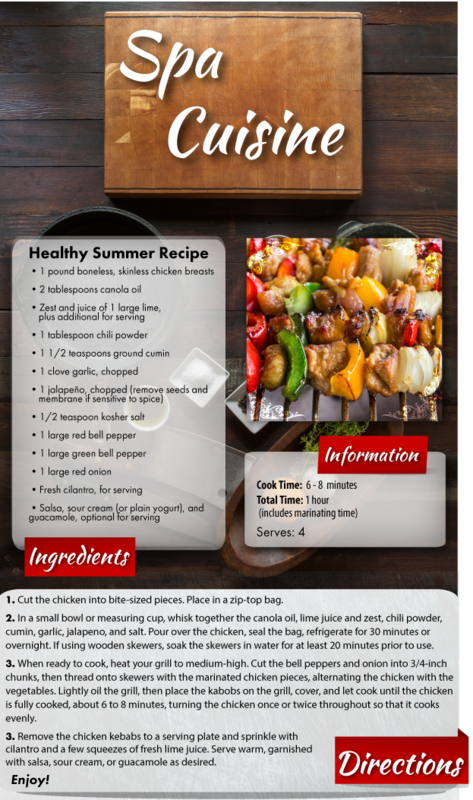 How about a Fajita-style chicken grilled on skewers with veggies? This delicious chicken kebab recipe is easy to make and sure to please!